Is your iPhone, iPad or iPod stuck in an endless reboot loop mode with the Apple logo only showing on the iDevice's screen? Are you thinking all hope is lost at this point? well, certainly not. There is a simple and easy way to wake your iDevice and restore all your backed up files from iTunes or iCloud. So guys! here is a quick and simple tip to show you how you can get your iPhone or iPad out of a reboot loop. now if you don't know what a reboot loop is, A reboot loop is basically a state of your iDevice where you see nothing else but an apple logo on your iDevice screen and it doesn't go away no matter the number of times you restart it. When you restart using the sleep/power button it simply shows the Apple logo on the screen and gets stuck right there. Well, I've been in this mess before and you might probably be freaking out and thinking your iDevice is done. You can take it to Apple store for it to be solved but that is definitely not the solution or option running through your mind right now. 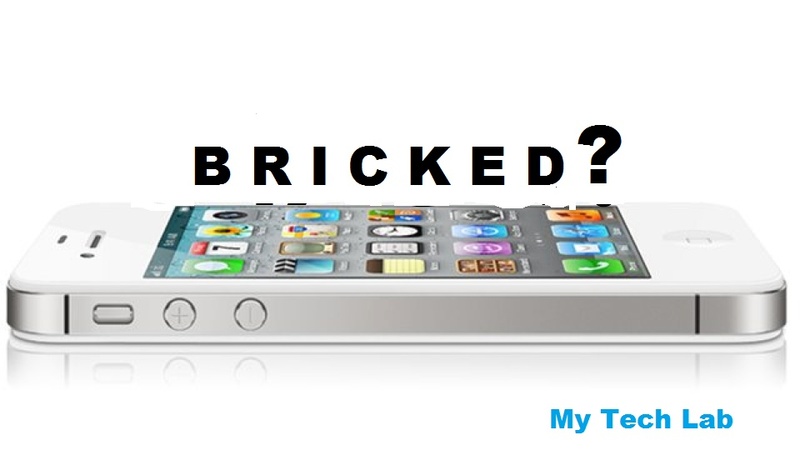 I have a couple combinations to help you wake your iPhone from brick mode and trust me it works perfectly fine. You can testify yourself when we are done. A couple of guys have different methods of which most of them do not work at all. I've tried a couple myself. But don't worry cos i have figured out a really simple way to gain your iDevice back and fully functional without any glitch whatsoever. Obviously you will need your bricked iPhone by your side, Your iPhone's USB cable, a computer with latest version of iTunes installed on it. and an internet connection to your computer. now if these are ready then lets begin. First you will need to put your iPhone into DFU mode. to do so just press and hold the sleep/power button while also holding the Home button at the same time until the Apple logo on the screen disappears. Note that for the fist time the iPhone might restart once or twice. just make sure you have a completely black screen before releasing the button combination. Pick up your USB cable, plug the other end into your computer. Press and hold the home button and plug the USB cable into your iPhone. Continue holding the home button until a notification appears on iTunes stating "your iPhone is Detected in recovery mode. Now your phone is out of brick mode. Just click OK on the notification. Select Update to download an iOS update. Don't worry, iTunes will handle the update for you completely. However, if you have a backup on your PC, simply select the Restore button and wait while iTunes restores your iPhone. That's it guys! you just got your iPhone or iPad back.